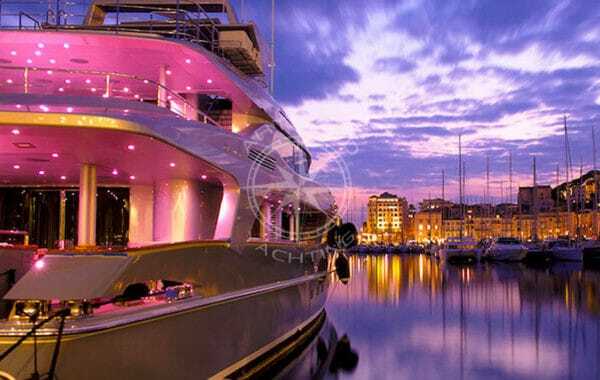 Choose Arthaud Yachting for your yacht charter in Marseille! With over a decade of experience, Arthaud Yachting is one of the pioneers in the organisation of yacht charters in Marseille. 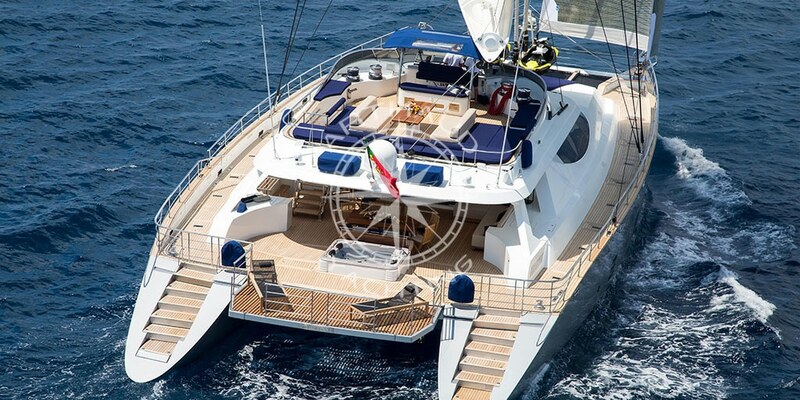 Specialists of nautical events, our brokers know how to organise your dream stay anywhere on the French Riviera. Our yachts are available for charter in Marseille year round. Large capacity vessels are ideal for company seminars, product launches, quayside receptions, weddings and anniversaries. 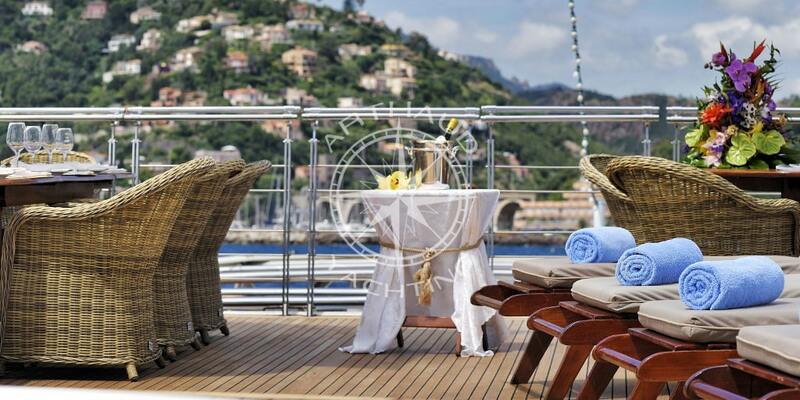 A luxurious and mobile environment that can be entirely personalised allows you to break away from traditional receptions while enjoying the many benefits of a chartered yacht in Marseille: visibility, proximity, flexibility, availability, etc. For your professional seminars or your next family holiday, come and discover the maritime city aboard a motor boat: our offer of sailing boats and speedboats completes our catalogue of charter yachts. 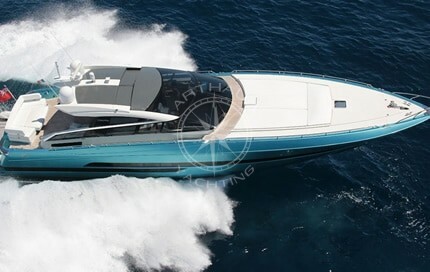 Water transport that combines the useful with the enjoyable, incentive cruises aboard a maxi-catamaran, team-building regattas, watching nautical events, the organisation of quayside seminars, Arthaud Yachting will advise you and organise a bespoke turnkey solution that will make a strong impression. A wide choice of yachts to charter in Marseille. Marseille, with the second largest population in France, is the oldest city of our region. Founded by ancient Greek sailors, Marseille has always been a port of commerce and trade, earning it the name of ‘Gateway to the Orient’, and ensuring it prosperous economic activity and a culturally rich and cosmopolitan population. Our offer of chartered yachts in Marseille is not limited to motor yachts. Embark aboard the finest sailing boats, from century-old classic boats to the most recent ultra-modern sailing boat or catamarans for an unforgettable experience. Do you want to spice up your stay? Société Nautique de Marseille offers modern yacht regattas that are appreciated by competitors from around the world for fans of carbon-fibre sails, as well as the famous ‘Voiles du Vieux Port’ which gathers around fifty classic yachts chartered especially for the occasion. With almost 60 km of seafront, Marseille is a many-faceted city. Its beaches, calanques, islands and archipelagos delight sailors and walkers alike. Treat yourself to a unique discovery of the Phocaean city by chartering a yacht in Marseille. Immerse yourself in the discovery of a preserved underwater environment with around one hundred listed dive sites, including the Riou archipelago, the Frioul archipelago and Planier Island and a world of undersea caves, Roman vessels, ocean liners, Second World War vessels and aircraft, etc. Marseille is perfectly served by air, land and sea: Marignane airport is just a one-hour flight from Paris, there are regular high-speed train connections at Marseille Saint Charles station, and the quays of its many ports receive the passengers of cruise ships from around the world. Recently renovated, Marseille’s Vieux Port has seen the creation of a museum dedicated to European and Mediterranean civilisations, the MUCEM. This architectural masterpiece by Ricciotti & Carta created from stone, water and wind takes on myriad colours and proudly welcomes yachts at the entrance to the port, facing Fort Saint Jean. Aware of the potential of this unique heritage that attracts over a million visitors per year, the metropolitan area has protected the 24 kilometres of calanques that link Marseille, Cassis and La Ciotat, i.e. over 11,000 hectares of land and 141,000 hectares of sea, making it Europe’s largest national park. This important nature preserve offers a wealth of wonders and sports activities to enhance your yacht charter in Marseille: hiking, climbing, scuba diving, snorkelling, stand up paddle boarding, kayaking, sailing, etc. The limestone rocks that plunge into the Mediterranean will offer you a unique panorama from the many decks of your yacht and from the portlights of your luxury cabin. Admire the cliffs and the turquoise waters of Calanque d’En-Vau, sail to Sormiou or moor at the port of Cassis to enjoy a very privileged visit by yacht to these magnificent places that are difficult to reach by land. 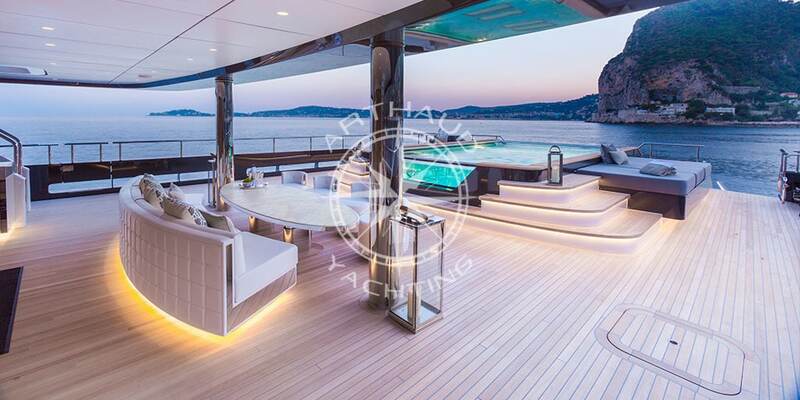 A member of the highly selective ‘MYBA’ label and thanks to its solid international network, Arthaud Yachting will organise your yacht charter in Marseille, throughout the French Riviera or anywhere in the world. With over 1,400 charter yachts listed, we will help you find the yacht of your dreams for an unforgettable stay in Marseille. Host your friends and family for a VIP discovery of the Bouches du Rhône region. Stay in luxury cabins with appointments that are worthy of the finest hotels – our multi-lingual, experienced crews will ensure your comfort on board. The chef will help you discover Mediterranean cuisine and savour the fish freshly caught by the old salts in their boats that are so renowned for their contribution to the folklore of Marseille. The crew are there to provide the many services and water sports available: scuba diving, water skiing, wake boarding, seabobbing, tubing, stand-up paddle boarding, kayaking, etc. 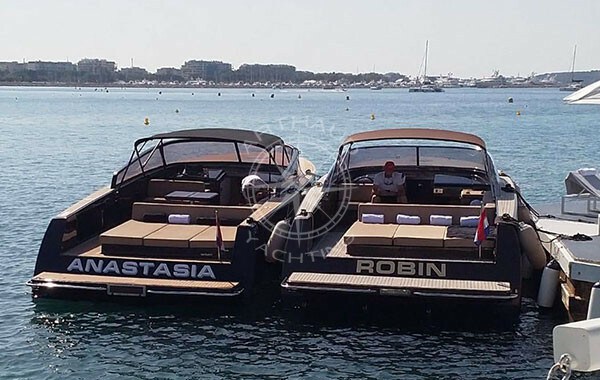 Our hostesses will serve your favourite drinks during your moments of relaxation on the different sundecks of your yacht chartered in Marseille. Need a change of pace? You are only a few miles from the Var coasts of the Iles d’Or, the touristic Ile de Porquerolles and the Port Cros nature reserve. Do you want to party with the Jet Set? Head for Saint Tropez and the private beaches of Pampelone in Ramatuelle. Follow your heart’s desire, the captain and crew will take care of all the details and ensure you of a relaxing and exotic break. 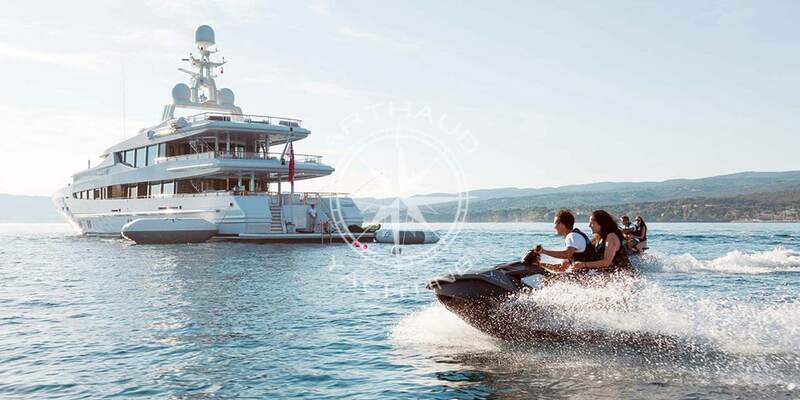 Whether you are looking for a family cruise, to participate in an event at the heart of the action or to follow it from your yacht in Marseille, Arthaud Yachting will be your partner and will organise the quality service that suits you. Trust our team of helpful specialists who are always available and allow us to organise your next yacht charter in Marseille! Your partner for your charter in Marseille.